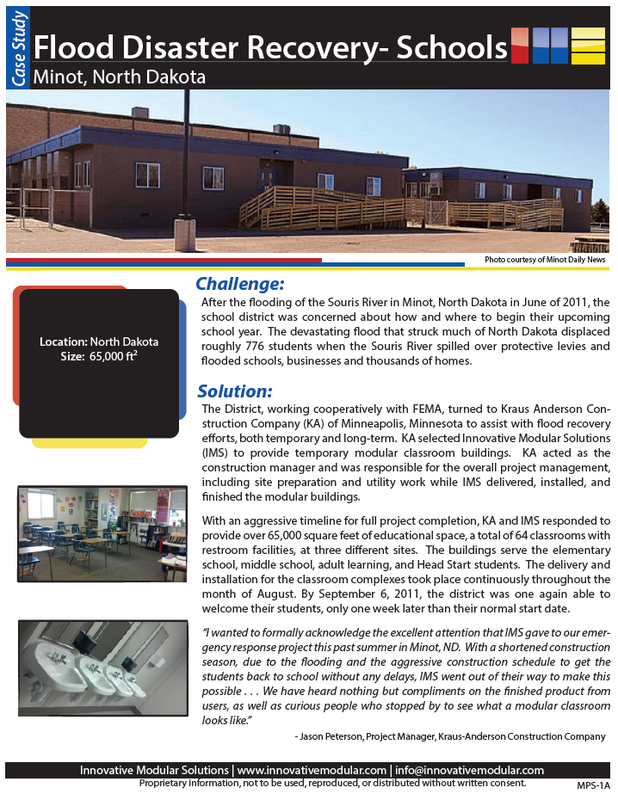 After the flooding of the Souris River in Minot, North Dakota in June of 2011, the school district was concerned about how and where to begin their upcoming school year. Modular buildings provided the answer. FInd out more by downloading this Flood Disaster Recovery Case Study.